BEARADISE FOUND offers you great mountain views, convenient location and we are sure it will make the perfect setting for your Smoky Mountain getaway. 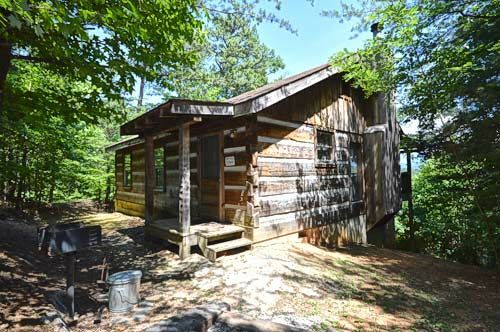 The mountain view and this two bedroom log cabin is only the beginning of this cabins perks. The warm and cozy feeling of this cabin makes you feel like you found "Bearadise" The moment you step inside the door you will understand why. The living and dining room offer your family a spacious area as you make plans for your stay. Both bedrooms are private. As you step outside onto the deck, you can take in all the beauty around you, while you sit back and relax in the hot tub. Or take a swing to enjoy the view. Bring your laptop or tablet and check your e-mail with the free wireless internet.